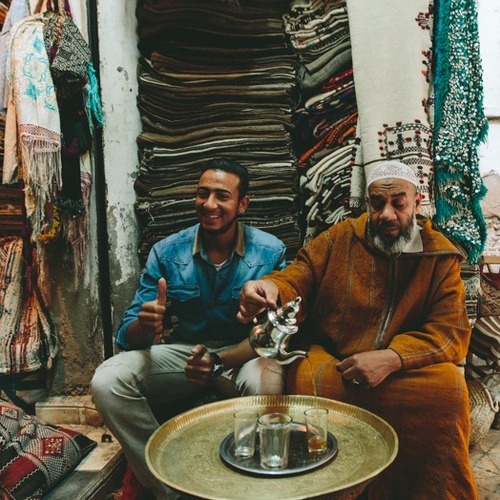 Ismail's family has been selling rugs for generations in Marrakech. 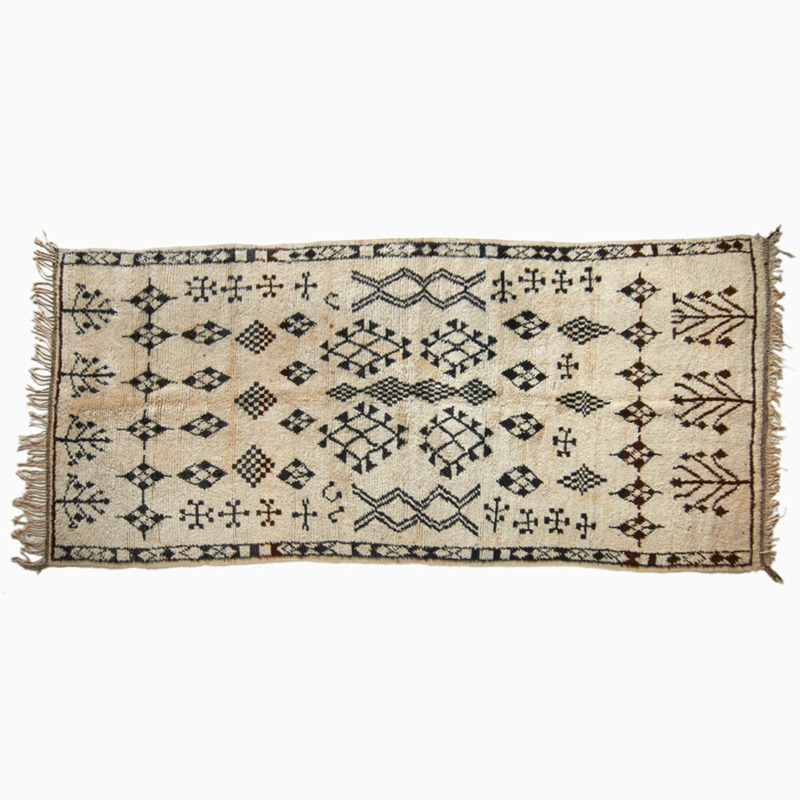 Hand-woven by the Imazighen women of the Azilal province in the mid-Atlas Mountains, this plush monochromatic vintage rug is created with natural wool fibers from the tribe’s black and white sheep. 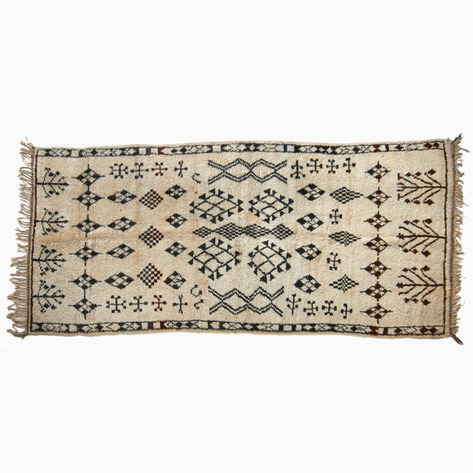 The land is central to the Berber’s way of life and, in this weaving the repeating sheaths of wheat and snakes can be seen to represent the circle of life from birth to death and the power of regeneration.